A 4 minute sand shower timer that's waterproof and easy to use. Time flies when you're having a shower. 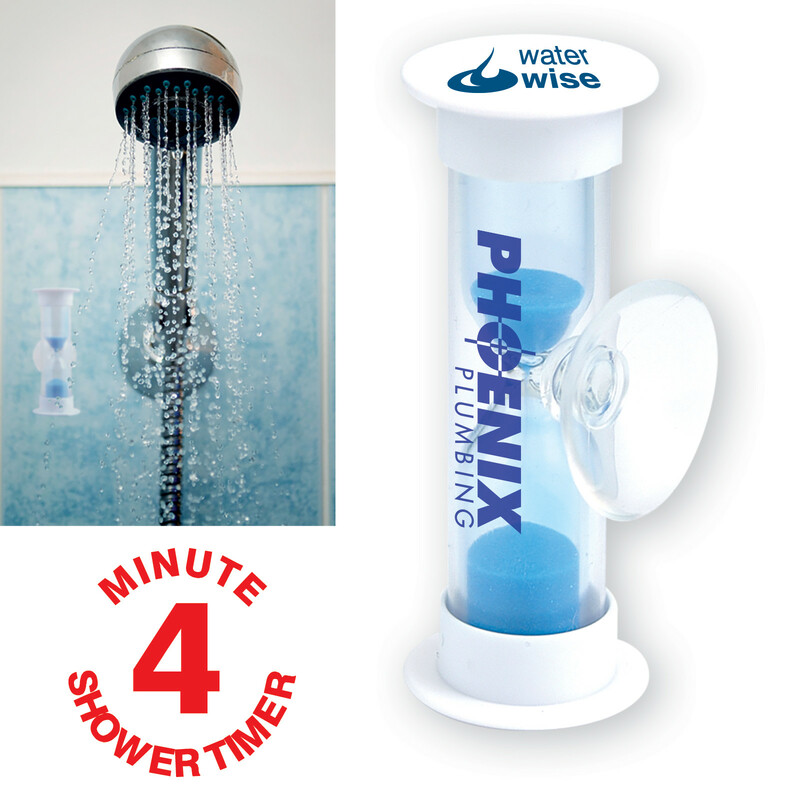 Fortunately this simple 4 minute rotating shower timer makes the time easy to track and thus conserve water. 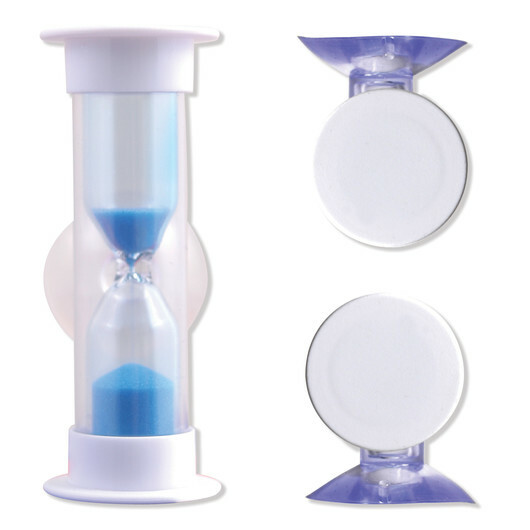 To use, simply rotate the timer and after all of the sand has fallen it has been roughly 4 minutes. A simple but effective giveaway item to help the planet and lower your bills! It has a suction cup that easily attaches to glass shower screens. Suction cup for attaching to shower screens etc.